Initial results show that it had won 84 seats. Second came its ally, the center left Congress for the Republic (CPR) led by Moncef Marzouki. 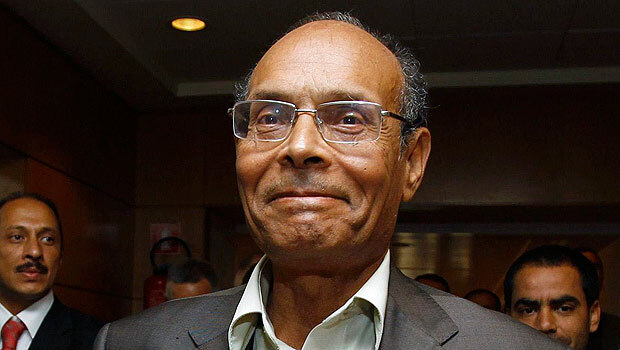 During the day Marzouki defended his party’s negotiations with Ennahda saying that there was nothing remotely sinister about it. It has been accused by some of the secular parties of having a secret agenda to Islamize the largely secular Tunisian state. "One must not take them for the Taleban of Tunisia. It’s a moderate party of Islam,” he said. Ennahda’s chief spokesman Noureddine Bhiri said that the party planned to put forward its No. 2 Hamadi Jebali as the next prime minister. Jebali himself said that the party was looking at a number of names for president including Mostapha Ben Jaafar, the leader of the social democrat Ettakatol party, and Moncef Marzouki of the CPR. There was also a possibility, he said, that Ennhada might propose the present interim Prime Minister Beji Caid Essebsi take over the presidency. Nominating the 62-year-old co-founder of Ennahda and former journalist for the premiership is something of a U-turn. Prior to the election, the party had said that it would not enter the government and favored a technocratic administration to run Tunisia for the next year when a new constitution has to be in place and fresh elections to the legislature will be due. However, it if it is to build a grand coalition of political parties, it will have to be present. All attention is on who will join that coalition and the negotiations are expected to be complicated. One of the main secular parties, the centrist Progressive Democrat Party (its failure to live up to earlier expectations has been one of the big shocks of the election) has flatly ruled out joining any coalition. According to Ennahda leader Rached Ghannouchi, a government would be put together as soon as possible, "within no more than a month." The biggest surprise on Wednesday was the performance of Aridha Chaabia, the People’s Petition for Freedom, Justice and Development, created by wealthy London-based Tunisian businessman, Mohamed Hechmi Hamdi, a former ally turned opponent of Ben Ali. He is rapidly becoming known as the Berlusconi of Tunisian politics because of his ownership of the popular London-based Al-Mustakillah satellite TV station. Previously virtually unknown, the Petition came an unexpected third in the number of seats won, at least 27. It did particularly well in Sidi Bouzid, where back in December fruit and vegetable salesman Mohamed Bouazizi triggered the Tunisian revolution by setting himself on fire following police harassment. It beat Ennahda into second place, but then Hamdi also comes from Sidi Bouzid. Hamdi’s platform includes free medical care for everyone and unemployment benefit payment of 200 Tunisian dinars in return for community service. The party’s showing has shocked many observers. “It shows what money can do,” said one Tunisian journalist. Speaking to journalists late Wednesday afternoon, Samir Dilou from Ennahda's executive bureau said he could not understand how it won so many votes without being in Tunisia. He also attacked the Petition for not respecting election rules, raising the possibility of a court challenge. On Tuesday, an independent candidate called for the party to be disqualified because they have violated the ban on electoral advertising by using Al-Mustakillah to promote its views. Political advertising was banned by the independent electoral commission, ISIE. The previous day, ISIE representatives in France said they planned to file a complaint against the party because an ex-member of the former ruling RCD party was one of its candidates. RCD officials wee banned from standing in the elections. It is not just the Petition that is facing claims of malpractice. On Tuesday, opponents of Ennahda said the party had effectively bought votes by giving poor people sacrificial sheep for the upcoming Eid Al-Adha. Speaking to the press Wednesday, Dilou dismissed the allegations but said that people had the right to protest and that the party supported the right of free speech. However, that could not cover attacks on religion, he insisted. to have helped rally support for the Ennahda. It also prompted violent attacks on the station by young extremists which Ennahda condemned. Dilou’s comments are seen as a clear indication that an Ennahda-led government intends to bring in a law on the subject. He said that the there had been enough talk and that it was time for action. On the rights of women, Dilou said that far from curtailing them the new government would extend them. Not only would polygamy remain a criminal offense and men would not be allowed to divorce by declaration, but that a new law would be introduced making it an offense to pester women. He also said that there would be other initiatives to get more women into work. Women, he said, are strong and often better workers than men. Tunisia has long had the strongest laws of any Arab country enshrining women’s rights.